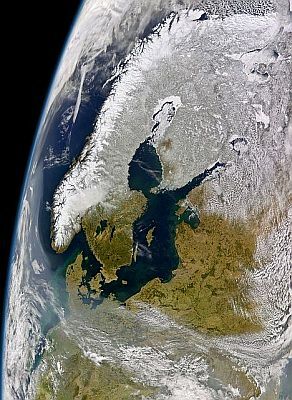 The Baltic Sea Basin on 1 April 2004, as seen from the SeaWiFS satellite (NASA/Goddard Space Flight Center, GeoEye). BALTEX is now Baltic Earth. This BALTEX website serves as archive for the 20 years of BALTEX and will not be be updated anymore. For current Baltic Earth activities, go to the Baltic Earth website. 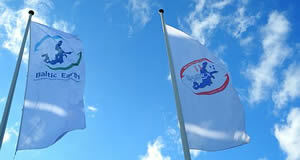 BALTEX (the Baltic Sea Experiment) is a Regional Hydroclimate Project (RHP) within the Global Energy and Water Exchanges Project (GEWEX) of the World Climate Research Programme (WCRP). The research focus of BALTEX Phase I (1993-2002) was primarily on the hydrological cycle and the exchange of energy between the atmosphere and the surface of the Earth, as they control and regulate the climate in a fundamental manner. BALTEX Phase II (2003-2012) has extended the scope of research to regional climate change, water management and biogeochemical cycles and transport processes in the regional Earth system. The study region of BALTEX is the Baltic Sea and its hydrological drainage basin, which constitutes a unique European water basin, creating specific demands on models and scientific concepts. Modelling as a tool to ensure sustainable development of the Gulf of Finland-Baltic Sea ecosystem. A scientific workshop in support of the Gulf of Finland Declaration. 24-25 November 2014, Finnish Environment Institute (SYKE), Helsinki.